The manufacturing of Viscosan™ has been designed to meet the high standards set by the Pharmaceutical Industry. 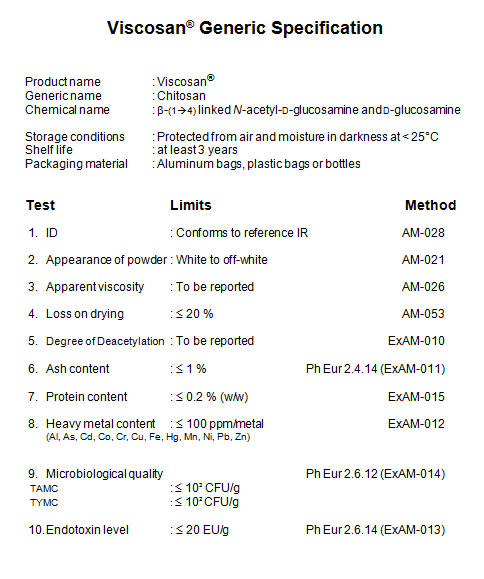 The purity of the products is generally higher than those commonly found for other chitosans, especially with respect to endotoxin and protein contents (see criteria set in monographs in EP and USP). We provide a certificate with the following information about appearance, viscosity, degree of deacetylation and loss on drying. Additional analyses can be performed on request. For GMP material. We have a quality system in place and manufacturing is done to meet our internal specifications. A Quality Data File is in place and ready for submission to the medical authorities. The documentation regarding the manufacturing of and quality of Viscosan™ has been approved by the Swedish Medical Agency when Viscosan™ was evaluated, under the name of Viscogel, in a clinical study for vaccines4. In this study the tested material showed a good safety profile in human. For discussions regarding GMP quality material please contact us. 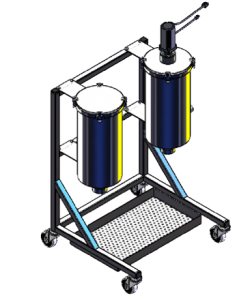 Viscosan™ is currently made in a proprietary process operating at a pilot plant scale. Our current focus is to supply a research/development market but we are ready to scale up on demand (A plan for up-scaling to full industrial scale is in place). 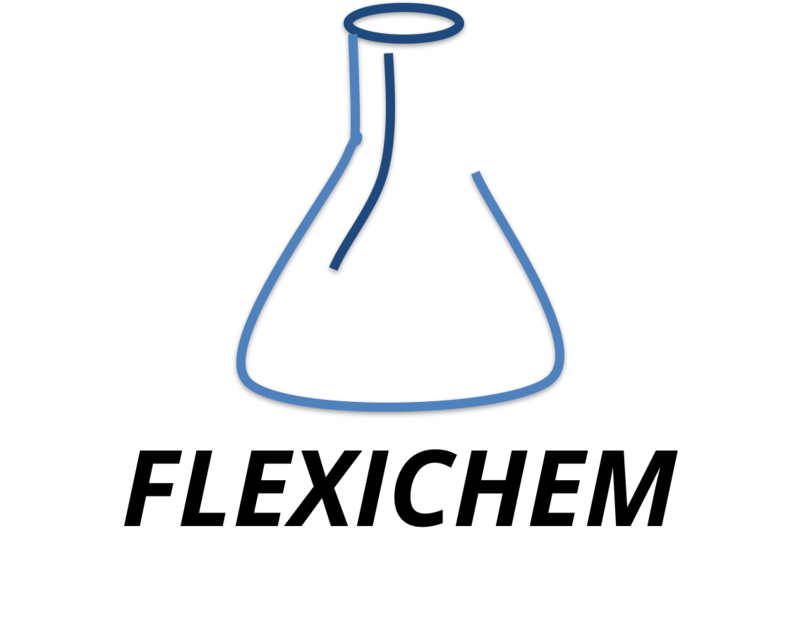 In addition to the products in our catalogue we offer tailor made solutions and can make essentially any type of deacetylated chitin. Please contact us for an initiated discussion.